Billy Buss is an award-winning trumpet player, composer, producer and educator recognized throughout his career by Down Beat Magazine, The National Foundation for the Advancement in the Arts (NFAA) and The White House. 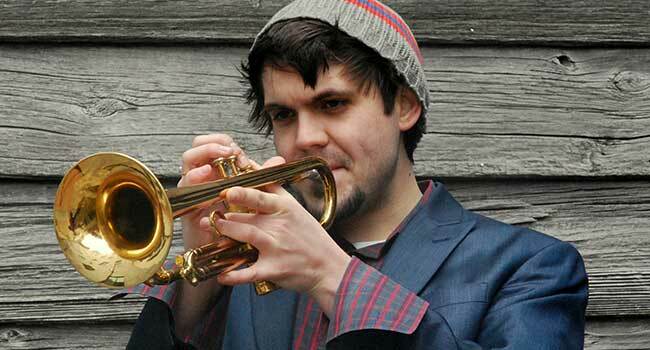 In 2014, he was awarded 2nd Place at the prestigious Thelonious Monk Institute International Competition for Trumpet, and since maintains a busy performing and teaching schedule throughout the United States and Internationally. You can find Buss performing with his own band, B-Squared Jazz Productions, or as a member of Mando-Pop singer Yen-J, Kahootz Entertainment (K2), Steve Memmelo and The Classic Yellow, and a host of others. These collaborations range from Hip-Hop and Pop to Classical and Jazz. Buss currently serves on the faculty at Berklee College of Music and The New England Conservatory’s Prep Program, directs the general music, choral and instrumental studies program at The Mission Hill School K-8 in Jamaica Plain, MA, and is a senior faculty member in the Brass and Piano departments at the Boston School of Music Arts. Buss is an ASCAP artist and endorses Adams Brass Instruments and AMT Microphones. You can listen to some of Billy's music below!